A NEW YORK TIMES BESTSELLER *Why does your foot hit the brake pedal before you are conscious of danger ahead? * *Why is it so difficult to keep a secret? * *How is it possible to get angry at yourself: who, exactly, is mad at whom? 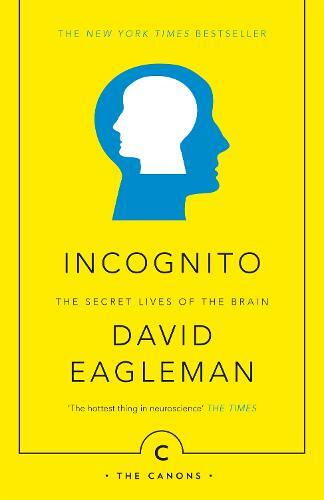 * In this sparkling and provocative book, renowned neuroscientist David Eagleman navigates the depths of the subconscious brain. Taking in brain damage, plane spotting, dating, drugs, beauty, infidelity, synaesthesia, criminal law, artificial intelligence and visual illusions, INCOGNITO is a thrilling subsurface exploration of the mind and all its contradictions.